Votes are in for the 2012 Public Benefit Flying Awards! Thank you to every individual and organization that submitted a nominee or nominees for an award this year. There were 8 nominees for Distinguished Volunteer Pilot and 3 nominees for Distinguished Volunteer. Nominations were also received for Outstanding Achievement in Advancement of Public Benefit Flying, and Champion of Public Benefit Flying. The Selection Committee met on July 2, 2012. The high caliber of the nominees made the decision process very challenging for the committee! Please watch for an announcement of the honorees very soon. The official awards ceremony will take place in Washington, DC this fall. Watch your email for more nomination information! REPRINT OF THIS IMPORTANT LEGISLATION! On February 14, 2012 President Obama signed the FAA Modernization and Reform Act of 2012, a long-awaited Re-Authorization bill to fund the Federal Aviation Administration. Senate versions giving liability protection to volunteer pilots and organizations were omitted entirely from the final bill. However buried in the Bill is a Valentine's Day present for organizations that have been seeking to provide fuel reimbursements for its volunteers and do not have an exemption from the FAA.
. . . allow an aircraft owner or operator to accept reimbursement from a volunteer pilot organization for the fuel costs associated with a flight operation to provide transportation for an individual or organ for medical purposes . . ."
1)A pilot flying medical patients or organs does not violate §61.113(c) merely by accepting fuel reimbursement from a volunteer pilot organization. required to) issue regulations governing pilot standards (which it always had the power to do). Of course, if they VPO's act responsibly, the FAA may see no pressing need to regulate. 3) The Act was effective immediately upon signing, without any action from the FAA. http://aes.faa.gov/ and search by entering "61.113(c)" in the "Regulation" box. More to come at Air Care 2012 in New Orleans! We all owe our Air Care 2012 Host Group Pilots for Patients, especially Philip and Sharon Thomas and Angela Doles our tremendous thanks for their hospitality and organizing skill in presenting our annual conference this year in beautiful New Orleans. Dozens of representatives from many groups came together to share their ideas and experiences and hear presentations on a variety of topics highly useful in administering our organizations and better telling the stories of our wonderful volunteers. If you have any doubt about the value of attending an Air Care event please talk with some of this year's attendees. In addition to all the useful information we were also provided great social opportunities to get to know one another, put faces to names, and enjoy the sights and sounds of the city of New Orleans. 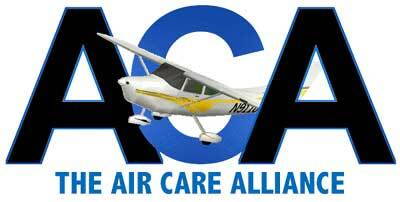 And - be sure to join us next year at Air Care 2013! We are closing in on the final edits for the ACA/AOPA Volunteer Pilot Safety Course! A small team of reviewers looked over the Beta version of the course this past week and made several edits. Most of the comments were very positive and indicate that the final product should be something of which we all can be proud. This has been a long, long process, mainly due to a shortage of staff at AOPA and the company hired to do the development of the course. But we are almost done!! Several weeks ago, Rol, Jeff and I met with representatives of the FAA (AFS 800) at FAA Headquarters in Washington, DC regarding the Fuel Reimbursement issue. They were very receptive to our concerns and expressed a willingness to work with the Air Care Alliance on a solution that would improve on the current waiver process. As a result of that meeting, Rick Durden, Cody Welch, Jeff and I are working on a white paper to present to the FAA in the near future that will start the dialogue on how to make the reimbursement process less onerous and more accessible than the current waiver system. For those of you who will be attending AirVenture this year, the Air Care Alliance will be presenting a seminar at 2:30 on Tuesday, 24 July in the Vette Theater located inside the EAA Museum. Please come out and show your support. 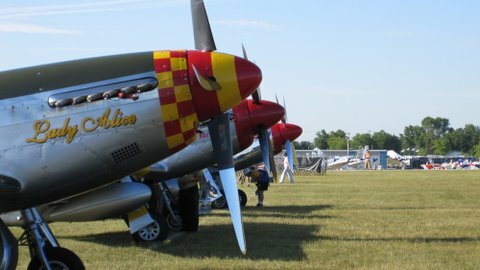 Also, we will be stopping by the booths of those groups who are displaying at AirVenture. We are nearly half way through the year and the AOPA Charitable Flying Public Relations Program is soaring! Barton Gilanelli & Associates has been going though our list of charitable flying organizations and pitching them to the media in selected areas where they fly. In early May, Angel Flight Northeast was pitched in Maine, Life Line Pilots in Colorado and Angel Flight Central in Missouri. So far this strategy has generated 10 stories and two more are pending. 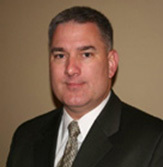 Moving forward, I strongly suggest that you consider missions to discuss with Barton Gilanelli. Is there a region in your service area where you would like them to pitch the media about your organization? Just call Barton Gilanelli at 215-592-8601 215-592-8601 and ask for Judith Eckles or email her at judith@bartgil.com and let her know in which of your service areas you'd like to raise your visibility. Don't forget we are also looking for your missions. Contact Judith with your missions to see if they're worthy of a media pitch. Getting stories about your organization is a very powerful way to get more patients, pilots and, of course, more money. Lastly, to date the Charitable Flying PR Program is responsible for 37 stories that have reached more than 6 million people. The future of the program looks bright. Many of you have already seen the direct benefits of these stories. Although Patient Airlift Services (PALS) is one of the newest Volunteer Pilot Organizations (VPO) to be formed and join the ACA, many of the PALS Board members and pilots have a long history of involvement with other VPO's. We at PALS believe strongly in transparency, honoring the donations of time and money from those who are a part of the PALS Team and the collaborative efforts in joining an organization such as the ACA. Combining all of the above allows us to keep the mission at the forefront and serve those in need of our services more powerfully. PALS mission is twofold, to serve our patients and our pilots. To best serve the individuals that turn to us for help, PALS listens to each patient with care and compassion. Our mission coordinators do everything possible to fill a flight request. When PALS does arrange a flight, we do our best to ensure that the patient has ground transportation and appropriate accommodations. If it is not possible for PALS to arrange a flight,our staff refers the patients to one of our counterparts in another region or to an appropriate resource. Our mission staff maintains a list of referral resources to ensure that we can provide any information that may be helpful to our patients. PALS is very thankful for all of the support we have received from our friends at the ACA, including access to the Angel Flight West AFIDS mission coordination system, and receiving advice on best practices from all of the ACA members especially Angel Flight Soars and Angel Flight Central. Thanks to the PALS board, their knowledge and connections, the dedication of the PALS staff and volunteer pilots, coupled with the support we have had from our friends at the ACA, we have experienced some amazing growth since our inception in 2010, quadrupling the number of flights we arranged -- from 400 in our first year to over 1,600 to date! To best serve or honor our volunteer Pilots and "Auto" Pilots we have formed a completely volunteer board which has oversight for all financial transactions, ensuring proper use of all donated services and funds. We additionally work to have all flight related fees waived, ask for fuel discounts when possible, and have advised our pilots that we will pay for any hotel expenses incurred should a situation arise that would compromise the safety of the flight. Finally, PALS petitioned the FAA for fuel reimbursement at the suggestion of some of our pilots, our petition was granted, and in April of 2012 we issued the first reimbursement check to a pilot who did a flight that was qualified under the exemption. It should be noted that we have decided NONE of the PALS Board Members who are pilots are eligible for the Fuel Reimbursement, and also that our pilots do NOT have to fundraise to be reimbursed. They are paid out of a general fund. Our pilots are encouraged to be a part of small town pilot dinners held throughout the Northeast and participate in any other PALS activities that might allow for the chance to meet other PALS pilots. The PALS Board and Staff are simply representatives for all of the volunteers who are PALS, and will continue to do our best to serve them well. 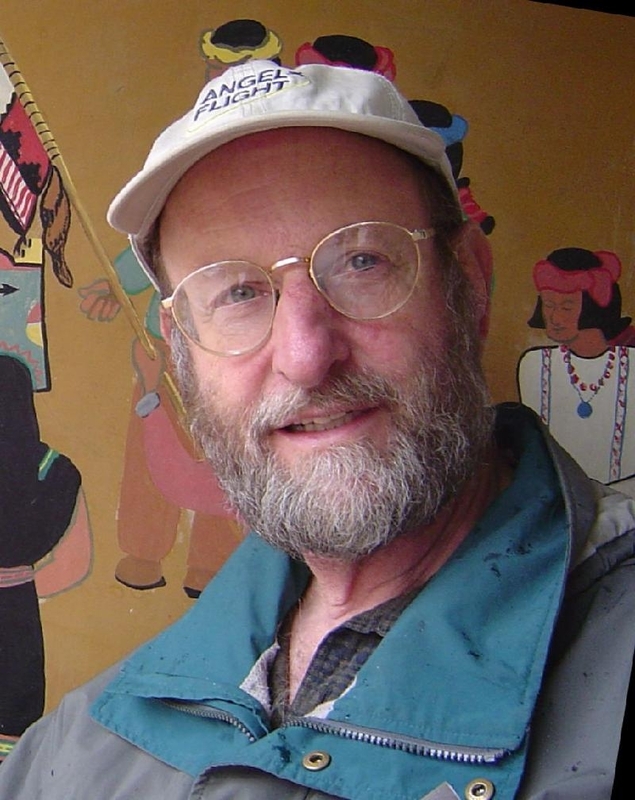 Far too often, PALS mission coordinators have received calls from people saying, "If I had only known of your services sooner...."For one family that contacted PALS with this sentiment, the situation was critical. Over Thanksgiving weekend, PALS received a frantic Facebook post from the parents of a 5 year-old boy with Neuroblastoma living in Virginia. They had recently learned from their doctors in Virginia that their son had a life-threatening tumor that had to be removed immediately. Unable to perform the surgery in Virginia, the doctors made an appointment for the boy with team ofsurgical specialists in New York. The family could not afford to fly to New York to help their son. A PALS staff person saw the post and promptly began calling pilots. Understanding the critical nature of the call, a PALS pilot accepted this mission, leaving New Jersey to pick the family up in Virginia and bring them to New York. This emergency flight and the numerous subsequent trips from Virginia to New York resulted in the best possible outcome for this young boy: he is now N.E.D. (No Evidence of Disease). PALS' hope for the future is that we continue on a path of increased awareness for the services we provide, growth in our pool of volunteer pilots, continued financial support from individuals and corporations, and expanded collaborations with other organizations including our friends at the Air Care Alliance.